This approach utilizes a low dose of rosuvastatin taken intermittently with the goal of minimizing any statin side effects, but obtaining some of the benefits of statin drugs on cardiovascular risk reduction. 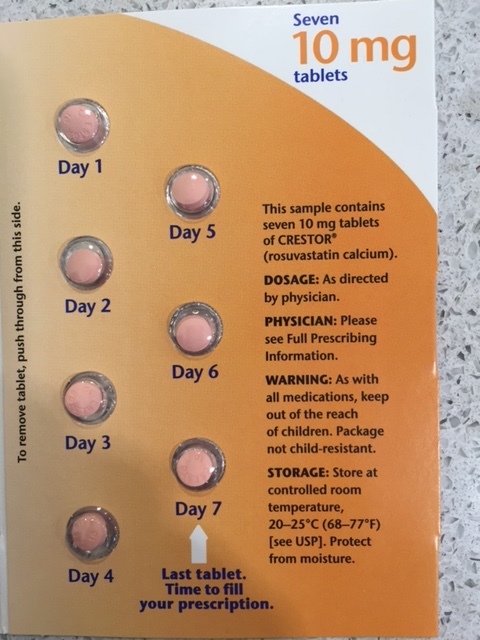 It worked well for Geo; taking 5 mg rosuvastatin three times weekly lowered his LDL-C (bad cholesterol) by 50%, and he had absolutely no side effects when I reported on him 6 months after starting the drug. However, when I stayed with Geo and his lovely wife, Wendy, over Thanksgiving in their Annapolis, Maryland house, Geo revealed that he had stopped taking his statin. Like many patients, he was swayed by a news report suggesting an important “new study” that suggested there was no relationship between cholesterol and heart disease, and that statin drugs were dangerous and should be stopped. At first I thought the story that he had read was the one I reported here which (appropriately) questions the benefit of statins for primary prevention in patients over the age of 75. But the new study, based on data of around 1.3 million patients, suggests doling out statins as a main form of treatment for heart disease is of ‘doubtful benefit’. Is this really a “new study” that contradicts the great body of evidence showing that statin treatment is safe and effective in preventing heart attacks and stroke in those at high risk for cardiovascular events? In reality, this is an opinion piece published in a questionable journal* without any new research, and it is the opinion of a collection of well-known (approaching notorious) statin denialists, members of a cult-like organization called The International Network of Cholesterol Skeptics.(THINCS). Nevertheless, the association of the authors with a group like THINCS raises some troublesome questions because, in fact, THINCS members don’t just object to one trial (JUPITER), or just one drug (rosuvastatin), or just the use of statins for primary prevention. They raise objections about ALL cholesterol-lowering trials, ALL cholesterol-lowering drugs, and the use of statins in ALL populations. They constantly harp on the dangerous side effects of statins, and exploit any bit of evidence they can find to launch their attacks, always ignoring the considerable evidence that doesn’t support their views. So the Archives paper on JUPITER is not really part of the scientific process, since the authors have no interest in the give and take of medicine and science. Their only interest is to attack, at any point, and on any basis, anything related to mainstream science about cholesterol. The lead and corresponding author, Uffe Ravnskov is the founder of THINCS and author of The Cholesterol Myths – Exposing the Fallacy that Saturated Fat and Cholesterol Cause Heart Disease (2000), which is considered the bible of cholesterol contrarianism. Ravnskov’s book has been severely criticized in Bob Carroll’s The Skeptic’s Dictionary, which outlines the distortions and deceptive techniques found in the cholesterol skeptics’ arguments. Indeed, if they were able to convince a highly intelligent patient like Geo, with a science background who also had easy access to the advice of a forward thinking cardiologist to stop taking his statins, who knows how many thousands have been convinced to stop their medications. Make sure you really need to be on the drug after engaging in shared-decision making with your physician and learning all you can about your personal risk of cardiovascular disease, the benefits of statins for you, and the potential side effects. Once you’ve made a decision based on good information and physician recommendation, try to ignore the latest headlines or internet stories that imply some new and striking information that impacts your health-most of these are unimportant. The evidence for the benefit of statins is based on a deep body of scientific work, which will not be changed by any one new study. There is a very strong consensus amongst scientists who are actively working in the field of atherosclerosis, and amongst physicians who are actively caring for patients, that statins are very beneficial and safe. This consensus is similar to the consensus about the value of vaccines. N.B. *The Expert Review of Clinical Pharmacology”is an open access journal, many of which are predatory. Article are solicited and the authors pay to have their work published. For the article in question, the Western Vascular Institute payed the fee. It’s not clear that there is any peer-review process involved. Some authors have suggested predatory journals are “the biggest threat to science since the inquisition”and I am very worried about the explosive growth in these very weak journals which exist solely to make money. I realize that writing this piece will engender the wrath of many so before you leave comments impugning my integrity let me reiterate that I receive absolutely nothing from BIG PHARMA. In fact, by writing appropriate prescriptions for statin drugs I reduce my income as my compliant patients avoid hospital and office visits and all kinds of procedures for heart attacks and strokes! Since I regularly prescribe statin drugs to my patients to reduce their risk of heart attack and stroke, I am very concerned about any possible side effects from them, cognitive or otherwise. However, in treating hundreds of patients with statins, I have not observed a consistent significant effect on brain function. When the U.S. Food and Drug Administration (FDA) issued a statement in 2012 regarding rare postmarketing reports of ill-defined cognitive impairment associated with statin use it came as quite a surprise to most cardiologists. This FDA statement was surprising because prior observational and randomized controlled trials had suggested that patients who took statins were less likely to have cognitive dysfunction than those who didn’t. Early studies implied that statins might actually protect against Alzheimer’s disease. In fact these signals triggered two studies testing if statins could slow cognitive decline in patients with established Alzheimer’s disease One study used 80 mg atorvastatin versus placebo and a second 40 mg simvastatin versus placebo and both showed no effect on the decline of cognitive function over 18 months. More recently, multiple reviews and meta-analyses have examined the data and concluded that there is no significant effect of statins on cognitive function. Importantly, these have been written by reputable physician-scientists with no financial ties to the pharmaceutical industry. The FDA added the warning to statin patient information based on case reports Occasional reports of patients developing memory loss on a statin do not prove that statins are a significant cause of cognitive dysfunction. First, patients receiving statins are at increased risk for memory loss because of associated risk factors for atherosclerosis and advancing age. A certain percentage of such patients are going to notice memory loss independent of any medications. Second. The nocebo effect: If a patient taking a statin is told that the drug will cause a particular side effect,that patient will be more likely to notice and report that particular side effect. A recent study in The Lancet looked at reported side effects in patients taking atorvastatin versus placebo and found substantial evidence for the nocebo effect. Analysis of the trial data revealed that when patients were unaware whether they were taking a statin or a placebo, the number of side effects reported was similar in those taking the statin and those taking placebo. However, if patients knew they were taking statins, reports of muscle-related side effects in particular increased dramatically, by up to 41 per cent. I would like to interview you and also a person who has experienced memory and/or thinking problems that they attribute to statin use. I responded with “let me see what I can find,” although I was concerned that this reporter was searching for a cardiologist to support attention-grabbing claims of severe side effects of statins rather than seeking a balanced, unbiased perspective from a knowledgeable and experienced cardiologist. If I produced a “victim” of statin-related memory loss this would boost ratings. The link appears to be a promotional piece for a book by Michael Cutler, MD. Cutler’s website appears to engage in fear-mongering with respect to statins for the purpose of selling his books and promoting his “integrative” practice. I would refer you to my post entitled “functional medicine is fake medicine”. Integrative medicine is another code word for pseudoscientific medicine and practitioners should be assiduously avoided. The piece starts with describing the case of Duane Graveline, a vey troubled man who spent the latter part of his life attempting to scare patients from taking statins. Here is his NY Times obituary. You can judge for yourself if you want to base decisions on his recommendations. There is no scientific evidence to suggest statins cause dementia. Steve Nissen recently wrote an eloquent article which accuses statin deniers of being an “internet–driven cult with deadly consequences.” Nissen has done extremely important research helping us better understand atherosclerosis and is known for being a patient advocate: calling out drug companies when they are promoting unsafe drugs. He goes on to point out that this misinformation is contributing to a low rate of compliance with taking statins. Observational studies suggest that noncompliance with statins significantly raises the risk of death from heart attack. When a patient tells me they believe they are having a side effect from the statin they are taking (and this applies to any medication they believe is causing them side effects), I take their concerns very seriously. After 30 years of practice, I’ve concluded that in any individual patient, it is possible for any drug to cause side effects. And, chances are that if we don’t address the side effects the patient won’t take the medication. If the side effect is significant I will generally tell the patient to stop the statin and report to me how they feel after two to four weeks. If there is no improvement I have the patient resume the medication and we generally reach a consensus that the side effect was not due to the medication. If there is a significant improvement, I accept the possibility that the side effect could be from the drug. This doesn’t prove it, because it is entirely possible that the side effect resolved for other reasons coincidentally with stopping the statin. Muscle and joint aches are extremely common and they often randomly come and go. At this point, I will generally recommend a trial at low dose of another statin (typically rosuvastatin or livalo.) If the patient was experiencing muscle aches and they return we are most likely dealing with a patient with statin related myalgias. 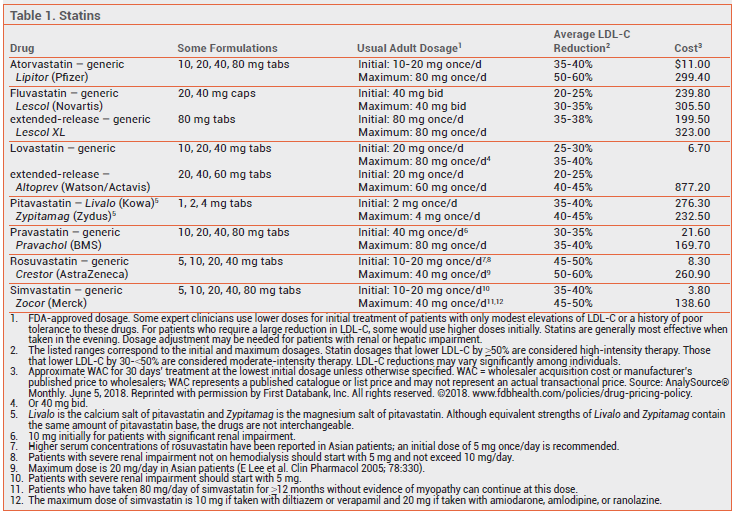 However, most patients are able to tolerate low dose and less frequent administration of rosuvastatin or Livalo. For all other symptoms, it is extremely unusual to see a return on rechallenge with statin and so we continue statin long term therapy. Today a patient told me he thought the rosuvastatin we started 4 weeks ago was causing him to have more diarrhea. I informed him that there is no evidence that rosuvastatin causes diarrhea more often than a placebo and had no reason based on its chemistry to suspect it would. (Although I’m sure there is a forum somewhere on the internet where patients have reported this). Fortunately he accepted my expert opinion and will continue taking the drug. If the symptoms persist and the patient continue to believe it is due to the statin, we will go through the process I described above. And, since every patient is unique, it is possible that my patient is having a unique or idiosyncratic reaction to the statin that only occurs in one out of a million patients and thus is impossible to determine causality. N.B. It turns out the reporter had an open mind about the issue of statin-related memory loss. We had a good discussion and at some point you may see the skeptical cardiologist on TV being interviewed on the topic. I could bring to the interview one of my many patients who since starting to take statins have not had a heart attack or stroke and who have taken statins for decades without side effects. Now that would make for some compelling and exciting TV! In an earlier post the skeptical cardiologist introduced Geo, a 61 year old male with no risk factors for heart attack or stroke other than a high cholesterol. 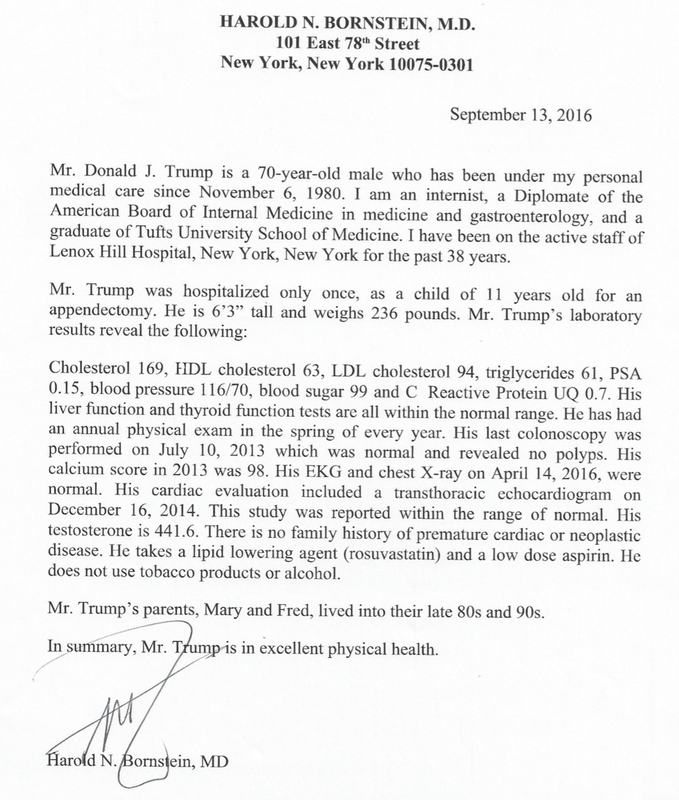 His total cholesterol was 249, LDL (bad) 154, HDL (good) 72 and triglycerides 116. His doctor had recommended that he take a statin drug but Geo balked at taking one due to concerns about side effects and requested my input. My first steps were to gather more information. 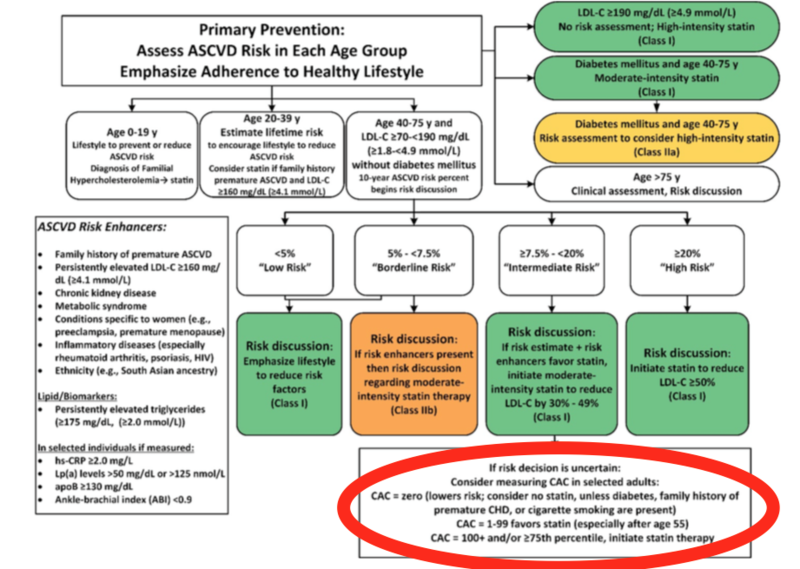 -I calculated his 10 year risk of stroke or heart attack at 8.4% (treatment with statin typically felt to benefit individuals with 10 year risk >7.5%) and as I have previously noted, this is not unusual for a man over age 60. 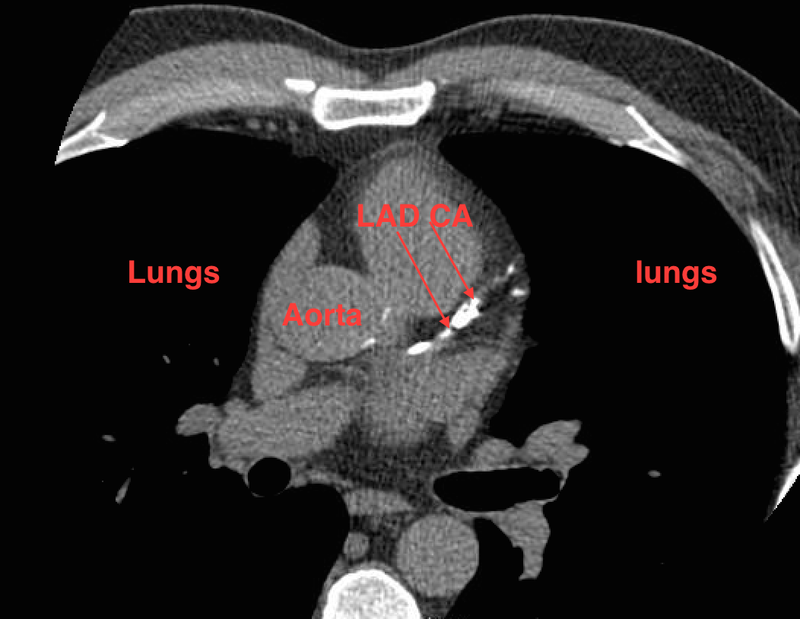 So Geo definitely has atherosclerotic plaque in his coronary arteries. This puts him at risk for heart attack and stroke but not a lot higher risk than most men his age. Strictly speaking, since he hasn’t already had a heart attack or stroke, treating him with a statin is a form of primary prevention. However, we know that atherosclerotic plaque has already developed in his arteries and at some point, perhaps years from now it will have consequences. What is the best approach to reduce Geo’s risk? It’s essential to look closely at lifestyle changes in everyone to reduce cardiac risk. Patients who try to change to what they perceive as a heart healthy diet by switching to non-fat dairy and eliminating all red meat will not substantially lower risk (see here.) Even if you are possess the rock-hard discipline to stay on a radically low fat diet like the Esselstyn diet or the Pritikin diet there are no good data supporting their efficacy in preventing cardiac disease. Geo was not far from theMediterranean diet I recommend but would probably benefit from increased veggie and nut consumption. He was not overweight and he doesn’t smoke. I encouraged him to engage in 150 minutes of moderate exercise weekly. I engaged in shared decision-making with Geo. Informing him, as best I could, of the potential side effects and benefits of statin therapy. After a long discussion we decided to try a compromise between no therapy and the guideline recommended moderate intensive dose statin therapy. This approach utilizes a low dose of rosuvastatin taken intermittently with the goal of minimizing any statin side effect but obtaining some of the benefits of statin drugs on cardiovascular risk reduction. I have many patients who have been unable to tolerate other statin drugs in any dosage due to statin related muscle aches but who tolerate this particular treatment and I see substantial reductions in the LDL (bad) cholesterol with this approach. Studies have also shown that In patients with previous statin intolerance, rosuvastatin administered once or twice weekly (at a mean dose of 10 mg per week) achieved an LDL-C reduction of 23–29% and was well tolerated by 74–80 % of patients. In a recent report from a specialized lipid clinic, 90 % of patients referred for intolerance to multiple statins were actually able to tolerate statin therapy, although the majority was at a reduced dose and less-than-daily dosing. His LDL had dropped 52% from 140 to 92. Hopefully, this LDL reduction plus the non-cholesterol lowering beneficial properties of statins (see here) will substantially lower Geo’s risk of heart attack and stroke. We need randomized studies testing long-term outcomes using this approach to make it evidence-based. But in medicine we frequently don’t have studies that apply to specific patient situations. In these cases shared decision-making in order to find solutions that fit the individual patient’s concerns and experience becomes paramount.